WICHITA, Kan. (AP) — Wichita is preparing to host NCAA tournament games this week, and police are taking steps to ensure that the thousands of visitors flocking to the city are safe. 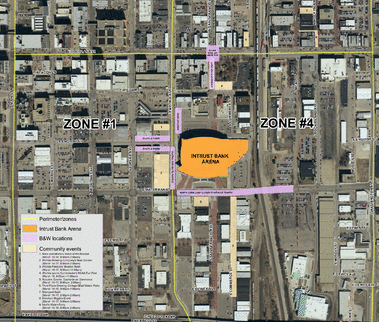 The police department is working with the Sedgwick County Sheriff’s Office, Wichita Fire Department, the U.S. Department of Justice and other agencies in preparation for the basketball games Wednesday through Saturday. Nearly 70 police officers will be working two shifts during the tournament. Patrols will be on foot, bicycle, car, horseback and ATV. Lt. Troy Livingston says police have been preparing for months with expectations of up to 25,000 people daily in the area around the arena.